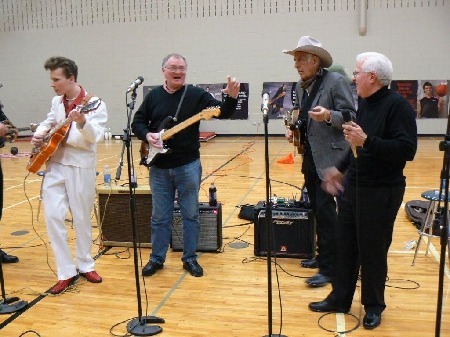 Ritchie Lee (17) Tony Marsh (Liverpool) Tommy Allsup & Jerry Naylor prepare for action! 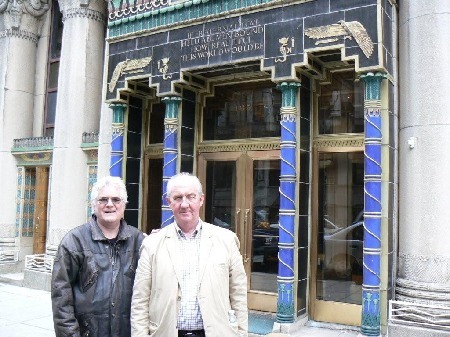 Ian Higham & Paul King outside the Pythian Temple New York. This was where Buddy recorded the string sessions. It is now exclusive apartments. 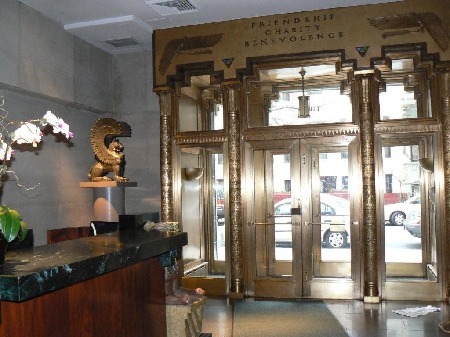 The inside foyer of the magnificent Pythian Temple building. 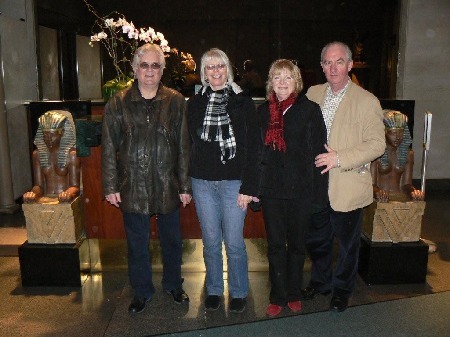 Ian & Denise Higham, Dot & Paul King inside the foyer of the Pythian Temple which still retains the original artifacts. 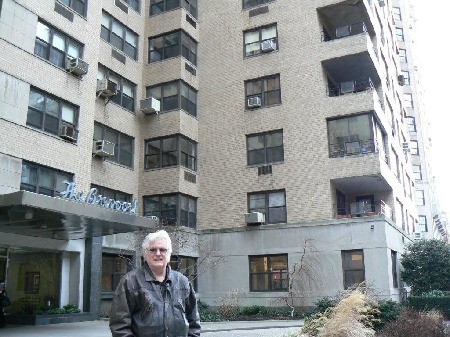 Ian Higham out side Buddy's New York apartment. The apartment is the fourth one up on the right. 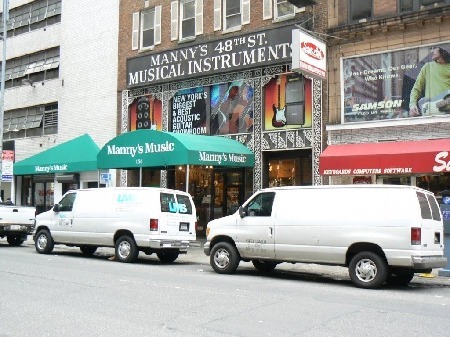 Manny's music store New York where Buddy shopped. In diesem Musikladen in New York kaufte Buddy ein.